The theme for the month of Feb 2019 - Short Stories - is "Arranged Marriage - life after 5 years". We have 6 new writers who joined IWW recently, and they are - Sudha Chandrasekaran, Amruta Siva, Anantha Rusum, Ashna Yasmin, Divya Nangia and Vani Kabir. There were more stories and poems from new writers, but I could not accept them for not following our simple rules. 3. 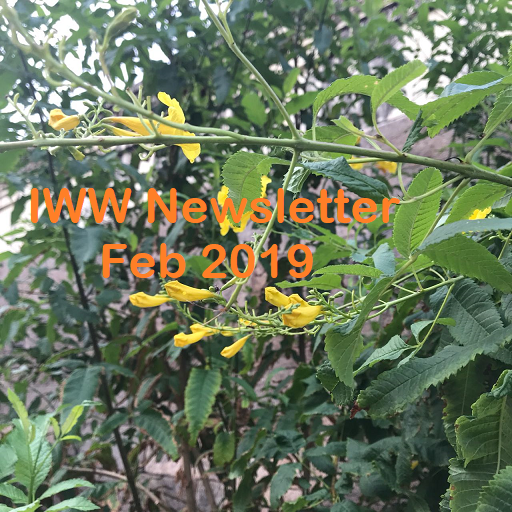 New items published at IWW in January 2019. Short Stories - Theme - Love marriage - life after 5 years. I am delighted to let you know that (if you have already not seen it) we have started our Youtube channel. I know I should have done it long ago. Better late than never! Please check it out and support us by liking it and commenting it, whenever possible. Please also remember to subscribe to it. It is another way of bringing more viewers to our site. I put so much of my time and effort to promote IWW and hope to get your cooperation also.